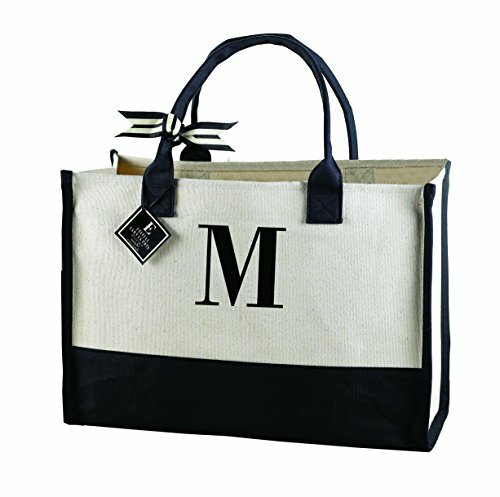 She will love this chic Mud Pie canvas tote bag with her initial on it. It’s a great little bag that is useful for her shopping trip. The bag measures roughly 18×12″ and all the reviews are great! 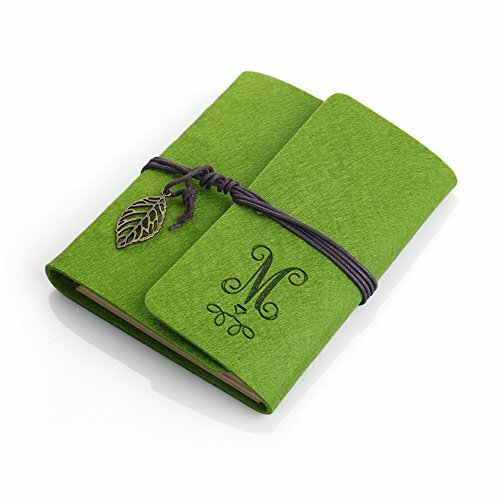 This pretty journal is made from felt and has a twine binder. It has 100 pages and a lovely leaf charm. It is personalizable with an initial. You can even choose from 12 colors! I am showcasing my favorite color in the link above, in pink. It’s a great little helper for writing down some notes when on the go. 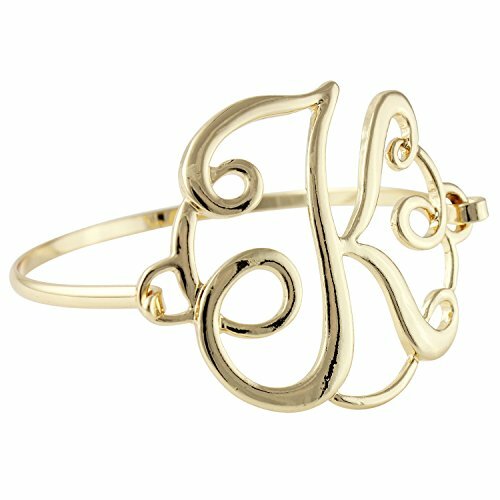 Oh my, this stunning gold tone bangle bracelet features a large initial. It fastens with a hook and eye closure and cmes in a gift box. This is such a pretty gift any lady would love. 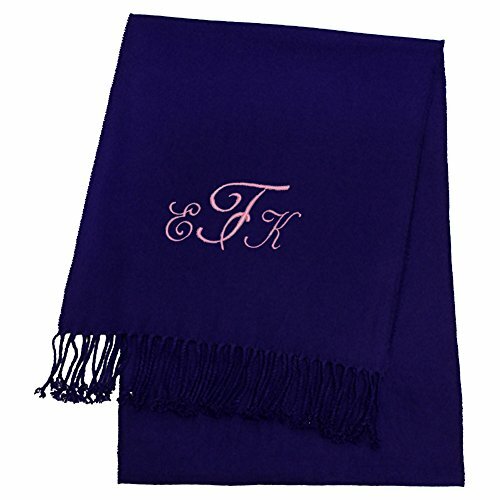 Any women would love this royal blue cashmere feel scarf with her monogram on it. It comes in 9 different colors/prints to match any of her coats. 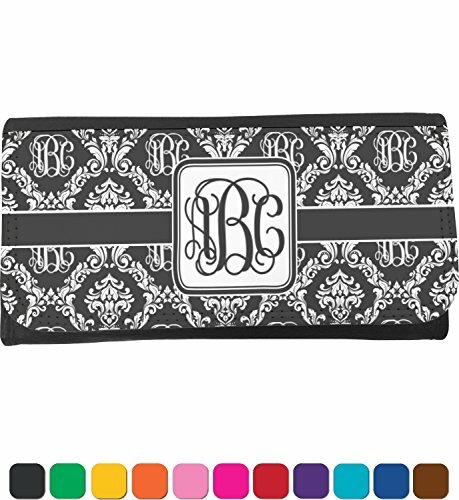 This monogrammed damask ladies wallet has everything she would need. It has a bill holder, zippered coins department and a place for checks with cover. You can choose from several pretty colors. I think this wallet needs to go onto my own list too. 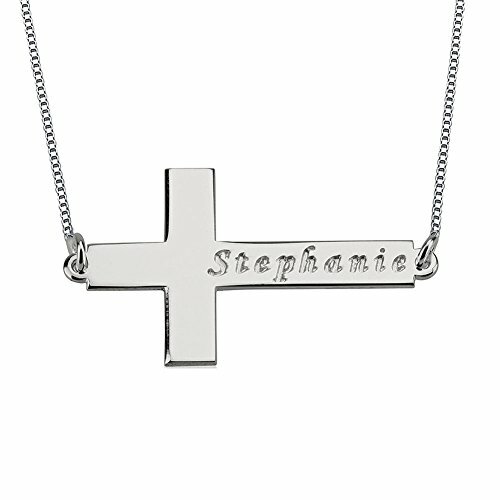 A beautiful gift idea for her is this solid sterling silver sideways cross with her name on it. It looks simple but very chic. The chain is adjustable and a pouch comes with it for easy gift giving. 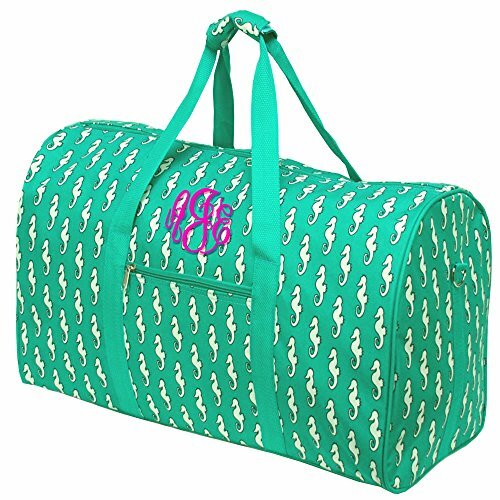 This overnight bag is perfect for the gym as well. It measures 21 inches and features pretty seahorses. Her initials can be added to the front for personalization. It’s for sure a useful but pretty gift for her. 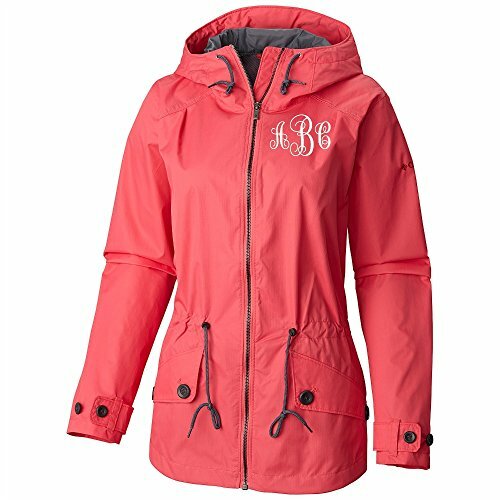 Gift her this beautiful monogrammed rain coat from Columbia. This high quality essential serves her well for going on a hike or to walk the dog. Choose between black or geranium. A nice and warm piece of clothing is this hoodie with embroidered monogram. 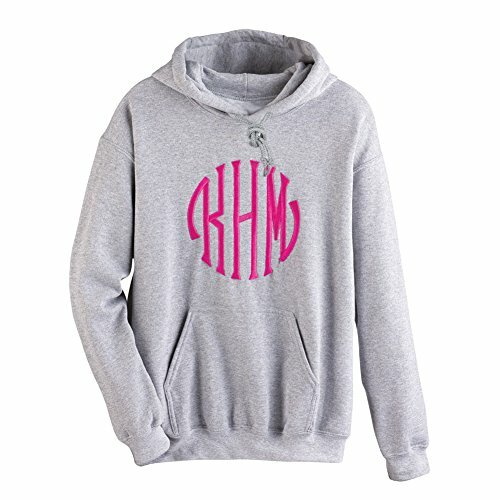 This hoodie lends a warm layer during colder days and looks great with the large 3 letter monogram. This is for sure a great personal gift for your wife. I hope you enjoyed this list of personalized gifts for the wife and may have found that special gift for her.